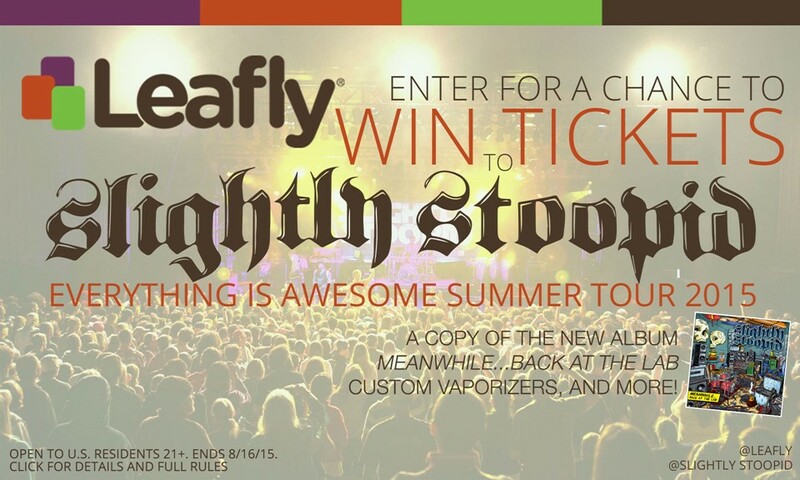 Enter to Win the Slightly Stoopid and Leafly Summer 2015 Dispensary Scavenger Hunt! Soak up the summer with our friends Slightly Stoopid by participating in the 2015 Slightly Stoopid x Leafly Summer 2015 Dispensary Scavenger Hunt! Hit up select dispensaries to enter for a chance to win two tickets to the Slightly Stoopid show near you, plus a concert gear pack including a custom vape pen, grinder, medtainer, and more! The scavenger hunt will hit six different stops on Slightly Stoopid’s “Everything is Awesome” tour this summer — we’ll be in Colorado, Washington, Oregon, Nevada, and California, and you could win the chance to see their show at one of these amazing locations! Visit any of the participating dispensaries (listed below) and leave a review of the dispensary on Leafly.com during its sweepstakes period. Include #myleafsweepstakes in the review. Winners will be contacted via the email registered in their Leafly user account. Don’t forget to mention Slightly Stoopid and Leafly at your dispensary visit; you may receive free stickers and rolling papers while supplies last! Winner: Congrats to the Colorado winner, Leafly user WalkaWalka! Winner: Congrats to the Washington winner, Leafly user Scragglepoo! Winner: Congrats to the Oregon winner, Leafly user Raider13! Winner Selected: Congrats to the Nevada winner, Leafly user Tzischke! Winner Selected: Congrats to the LA winner, Leafly user Illusion28! Winner Selected: Congrats to the SB winner, Leafly user 2Mdeas! NO PURCHASE OF ANY KIND IS NECESSARY TO ENTER OR WIN. A purchase does not improve your chances of winning. Introduction: During the period beginning at 12:00 a.m. Pacific Time (“PT”), July 14, 2015, and ending at 11:59 p.m. PT, August 10, 2015, Leafly may offer multiple individual sweepstakes (each a “Sweepstakes”), each of which will be governed by these Official Rules (collectively, the “Promotion”). Each such Sweepstakes will have a distinct start date and end date (each a “Sweepstakes Period”), and prizes, and will begin at 12:01 a.m. PT and end at 11:59 p.m. PT (unless otherwise specified in the details governing any individual Sweepstakes). Eligibility: Each Sweepstakes is open to U.S. residents ages 21 years and older as of the Sweepstakes Period for the applicable Concert Date/Location. Must have a registered www.leafly.com user account (“Leafly User Account”) to enter. 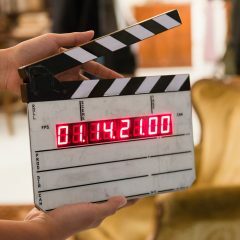 The Promotion is subject to all applicable federal, state and local laws and regulations and is void where prohibited by law. Sponsor: Leafly Holdings, Inc. (“Leafly”), 1920 Eastlake Ave E., Seattle, WA 98102. Agreement to Official Rules: By participating in a Sweepstakes, you agree to be fully and unconditionally bound to these Official Rules, and you represent and warrant that you meet the eligibility requirements set forth herein. Winner Selection/Odds: One (1) winner will be selected at random for each Concert Date/Location at 12p.m. PT on the applicable Winner Selected date listed above. Winners will be notified at the email address registered in his or her Leafly User Account. Leafly shall have no liability for winner’s failure to receive notices due to spam, junk, email or other security settings or winners’ provision of incorrect or otherwise nonfunctioning contact information. Odds of winning depends on number of eligible entries received. Prizes: Each winner will receive two (2) tickets to the Slightly Stoopid concert for the applicable Concert Date/Location, plus a concert gear pack including a custom vape pen, grinder, medtainer and more. Each total prize value estimated at $200. No cash or other prize substitution permitted except at Leafly’s discretion. Prizes are non-transferable. Leafly is not responsible for replacing any prize in the event of postponement or cancelation of ticketed events. All taxes on prizes are the sole responsibility of the winner. 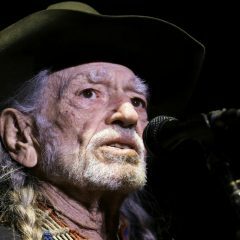 Acceptance of any prize constitutes permission for Leafly and its designees to use winner’s name, Leafly User Name and/or likeness for advertising and marketing purposes, without additional compensation, in any media, worldwide, unless otherwise prohibited by law. Limitation of Liability: By entering, you hereby release Leafly, its parent company, affiliates, and promotional partners, and each of their respective officers, directors, employees, and agents (the “Released Parties”) from and against any and all legal claims, losses, injuries, demands, damages, and/or causes of actions that may occur, directly or indirectly, whether caused by negligence or not, from: (i) your participation in the Promotion and/or any Sweepstakes and your acceptance, possession, use or misuse of any price or any portion thereof; (ii) technical failures of any kind, including without limitation, the malfunctioning of any computer, cable, network, hardware or software; (iii) the unavailability of any transmissions or telephone or internet service; (iv) unauthorized human intervention in any part of the entry process or the Promotion; or (v) electronic or human error which may occur in the administration of the Promotion or processing of entries. If, for any reason, the fairness or integrity of this Promotion becomes compromised, Leafly reserves the right to terminate or modify the Promotion or any individual Sweepstakes, and to disqualify any individual who tampers with the entry process or the administration of the Promotion or any individual Sweepstakes. Governing Law; Disputes: THIS PROMOTION IS GOVERNED BY THE LAWS OF THE STATE OF WASHINGTON, WITHOUT REGARD TO ITS CONFLICT OF LAWS RULES. BY ENTERING, ENTRANTS AND WINNERS HEREBY SUBMIT TO THE JURISDICTION AND VENUE OF THE FEDERAL, STATE AND LOCAL COURTS LOCATED IN SEATTLE, WASHINGTON. ANY ATTEMPT BY AN ENTRANT OR ANY OTHER INDIVIDUAL TO DELIBERATELY DAMAGE ANY WEBSITE RELATED TO LEAFLY OR THE PROMOTION OR UNDERMINE THE LEGITIMATE OPERATION OF ANY SWEEPSTAKES MAY BE IN VIOLATION OF CRIMINAL AND CIVIL LAWS, AND SHOULD SUCH AN ATTEMPT BE MADE, LEAFLY RESERVES THE RIGHT TO SEEK DAMAGES FROM SUCH ENTRANT TO THE FULLEST EXTENT PERMITTED BY LAW. 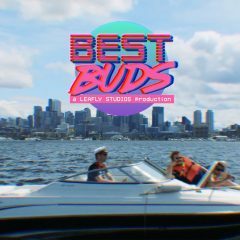 Winner’s List: To request a list of winners, send a stamped self-addressed envelope to: Marketing – Slightly Stoopid x Leafly® Summer 2015 Dispensary Scavenger Hunt Winner’s List, 1920 Eastlake Ave E., Seattle, WA 98102. © 2015 Leafly Holdings, Inc. All rights reserved.